I love traditional holiday decor. Green and red and gold and things that sparkle and light-up. 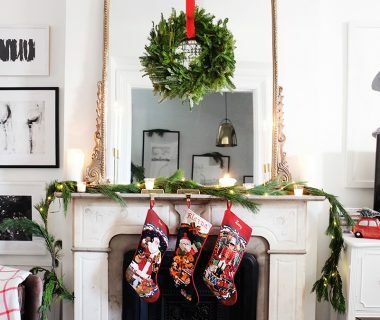 Plaids throws, wreaths hanging with ribbon, and ornaments with character. Luxe fabrics like velvet and wool and satin. It’s all so good. 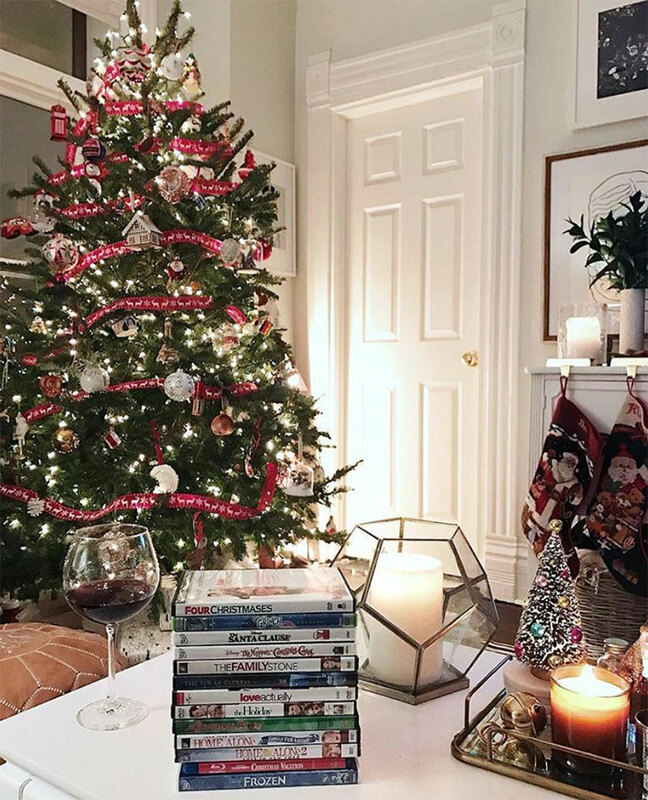 I know “all white” and non-traditional color patterns are often popular, but to me, these traditional elements are what make the holiday extra cozy and even nostalgic feeling. Plus there is nothing trendy about them–you can have these things for years and they’re never “in style” or out. 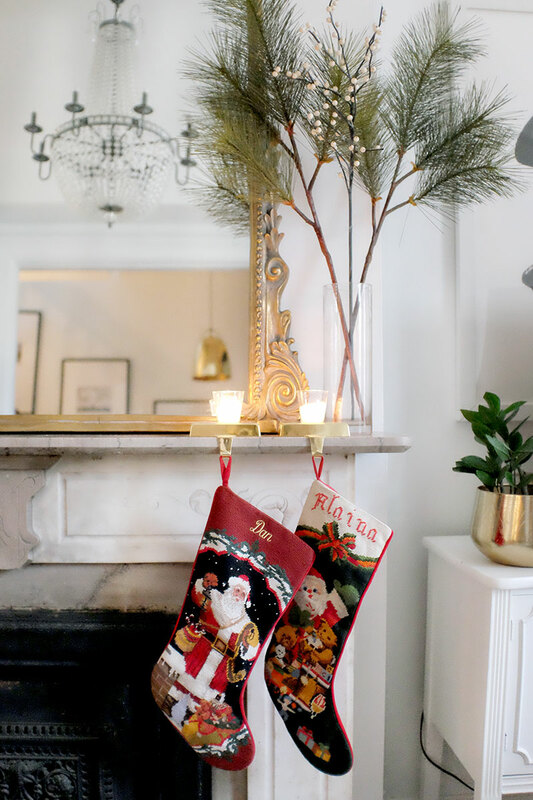 I wanted to share a few pieces we’ve invested in over the years – yes, I use that word because our needlepoint stockings and velvet tree skirt are both a bit more than I’d usually spend – but I know we’ll use them for years and years to come. The stockings forever. 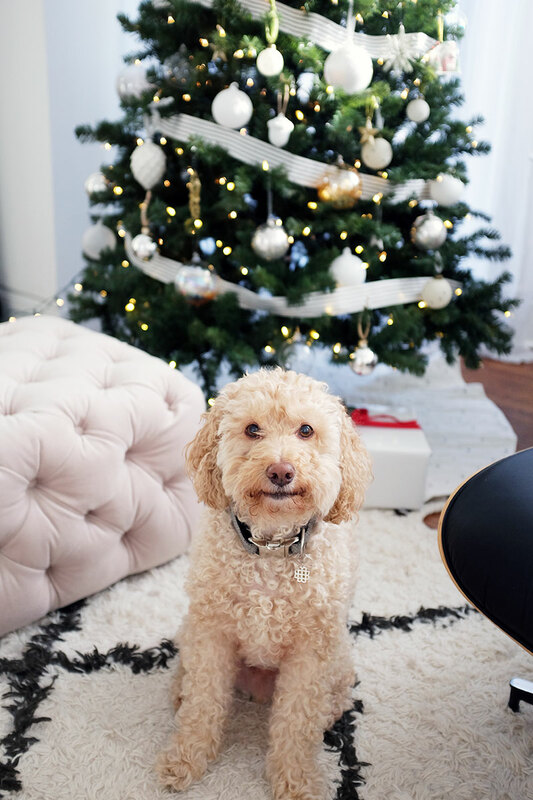 The tree skirt so long as it’s not stained. 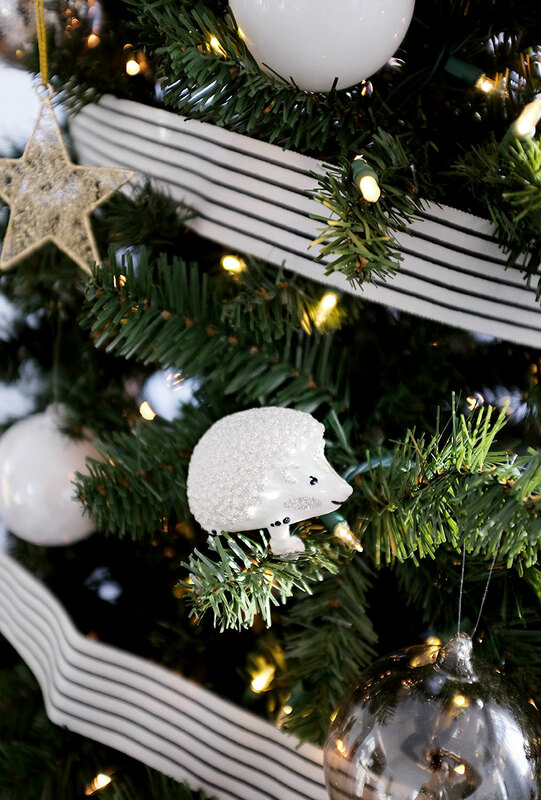 We ended up doing a second tree this year in our master bedroom which, as you know, is all black and white. The first time I’ve ever had two trees! We went with this faux pre-lit 7.5′ tree from Home Depot. 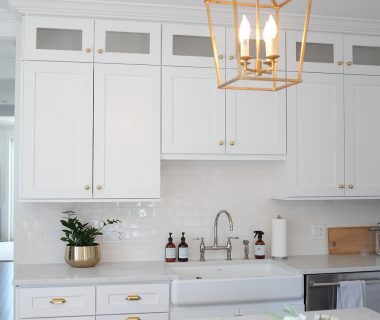 To mix things up from my favored traditional style, I thought I’d see what a more neutral, white palette would look like in that space. And I wanted something different from what would be downstairs. I really love how it looks in the bedroom, but I will say I still prefer the eclectic mix of the ornaments on our living room tree. 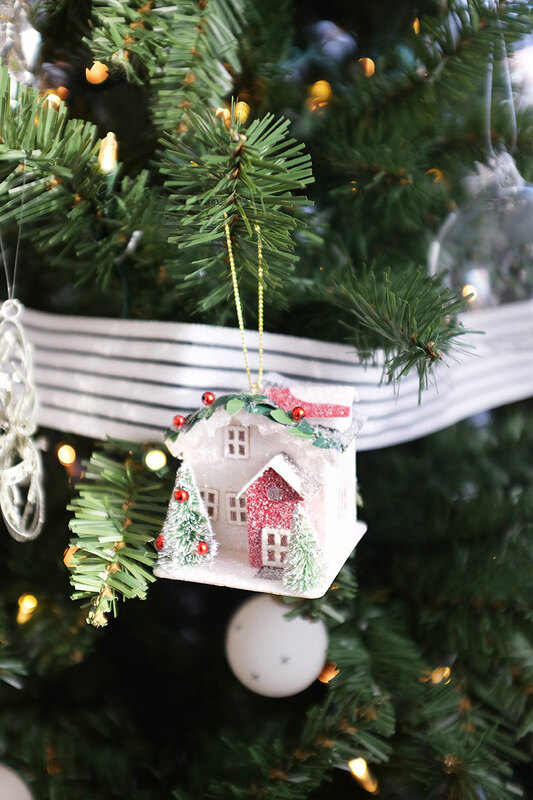 Get our faux pre-lit tree here! Love both trees! 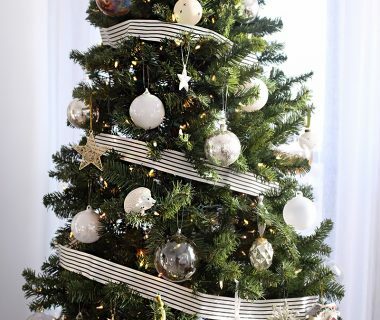 My family, where Christmas Eve is celebrated, usually has a traditional tree so in my own home I opt for a white/silver tree which fits the decor in my studio apartment best. 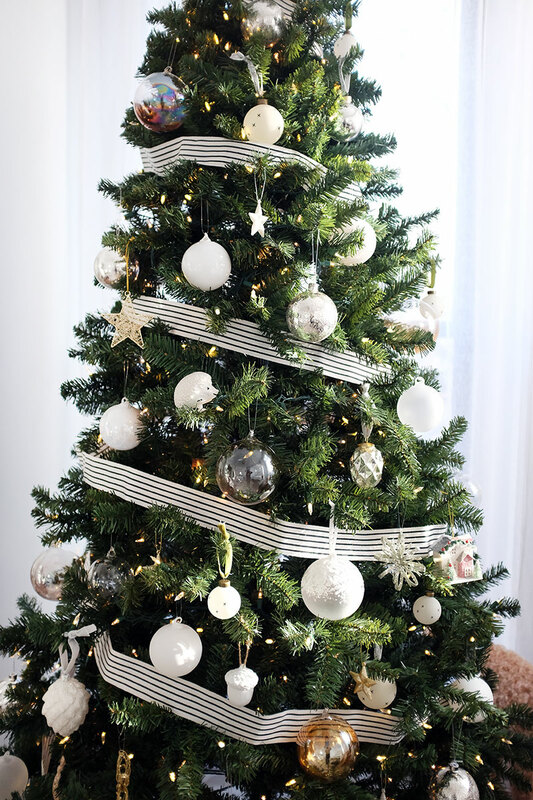 It actually looks a lot like the tree in your master bedroom. 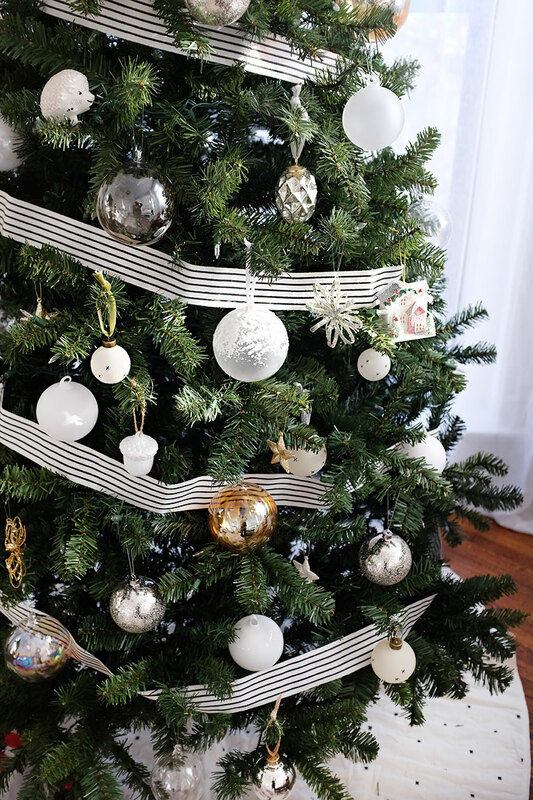 I have always wanted to do ribbon around the tree but can’t get it to look right. Any tips on how to put it up best? Hah I wish I did… it goes on after lights but before ornaments. We start at the top and just go down and around, spacing it out evenly, resting it on branches for security… sorry I’m not more helpful! They’re great! And the pine you only need one set of the pine! It’s nice and robust! Love your style, Alaina! Will you share where you got that adorable grey tufted ottoman? It is so dang perfect! Happy Holidays! A ha good eye! So glad you love it! Isn’t it great?! It’s a little sneak peek of our new Everygirl furniture collaboration and will be available in the new year! Stay tuned! Hi! Love your home, your style, and your postings. Wondering where the red ribbon is from in the first tree? Thank you!